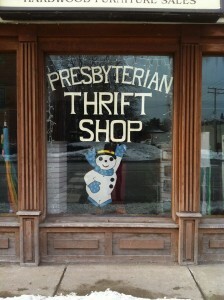 The Presbyterian Thrift Shop is located at 331 N. Main Street in Plymouth, MI. This retail ministry has been operated by FPCP volunteers and friends since 1950. All proceeds go directly to the First Presbyterian Church of Plymouth and are used to support local charities and international ministries. 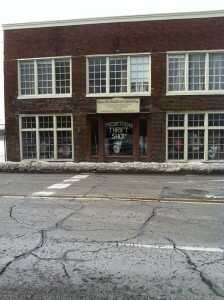 The Thrift Shop moved to its current location on Feb. 28, 2015. 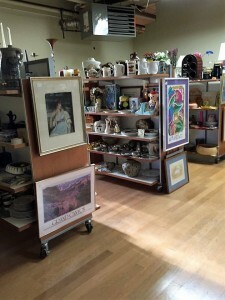 Learn more about the Thrift Shop – read the recent Hometown Life article. 2016 finds a newly-expanded facility. 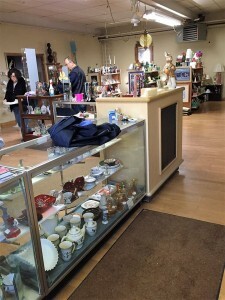 The Thrift Shop has traditionally sold gently used merchandise, including in-season clothing, shoes, purses, art, books, house wares and knickknacks at very affordable prices. Now, with the new, larger floor space, they can handle more donations overall, as well as furniture that can fit into a car. The shop also supplies excess merchandise to other charitable organization for their needs. PTS has established a relationship with various local/community consignment shops, which donate high quality clothes, accessories and miscellaneous gently used items. Also, donations come in daily from church members and friends. Donation receipts are provided for tax purposes. PTS is a fun, friendly place to volunteer, whether you’re selling, sorting or displaying, and FPCP church membership is not a requirement to volunteer. We are always looking for more volunteers; shifts are 2 hours once or twice a month. 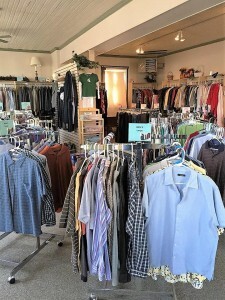 Church members are encouraged to donate merchandise and shop, as well as to introduce the shop to friends and neighbors. The Thrift Shop is on Facebook. We encourage you to search for the “Presbyterian Thrift Shop Plymouth” and join the group. By doing so, you will be kept informed of special sales, events and pertinent announcements pertaining to this important mission of the church! Remember, all profits go to Local Mission projects.